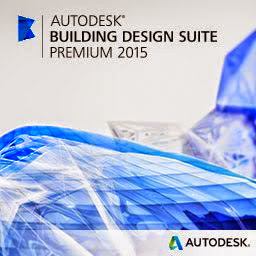 Do you know the system requirements when running the Building Design Suite 2015. There are a few things you need to make sure before you go to install the suite on your machine(s). Note: Autodesk Showcase® 2015, Autodesk ReCap™ 2015, and AutoCAD® Structural Detailing 2015 not supported in 32-Bit. Autodesk Recap 2015 not supported on Microsoft Windows 7 Home Premium. Note: Autodesk Showcase® 2015, Autodesk ReCap™ 2015, AutoCAD® Structural Detailing 2015, Autodesk Navisworks® Simulate 2015, Autodesk 3ds Max® 2015, and Autodesk Revit® 2015 not supported in 32-Bit. Autodesk Recap 2015 and Autodesk 3ds Max 2015 not supported on Microsoft Windows 7 Home Premium. Note: Autodesk Showcase® 2015, Autodesk ReCap™ 2015, AutoCAD® Structural Detailing 2015, Autodesk Navisworks® Manage 2015, Autodesk 3ds Max® 2015, and Autodesk Revit® 2015, Autodesk InfraWorks™ 2015, Autodesk Robot™ Structural Analysis Professional 2015 not supported in 32-Bit. Autodesk Recap 2015 and Autodesk 3ds Max 2015, Autodesk InfraWorks 2015, Autodesk Robot Structural Analysis Professional 2015 not supported on Microsoft Windows 7 Home Premium. Exceptions: AutoCAD Structural Detailing 2015, Autodesk ReCap 2015, Autodesk 3ds Max 2015, Autodesk Showcase 2015, Autodesk Revit 2015 - 4 GB RAM (8 GB Recommended). Autodesk Robot Structural Analysis Professional 2015 - 8 GB RAM or greater. Autodesk Inventor® 2015 - 12 GB RAM or greater. Autodesk InfraWorks™ 2015 - 4 GB RAM (16+ GB Recommended).